Ever wished your body could just naturally know that it has had enough food and turn off the desire to eat? Do you wonder why other people don’t seem to struggle with wanting to eat more? or why most animals aren’t getting fat? 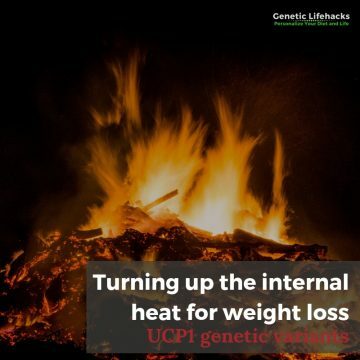 It could be that you carry a genetic variant in the leptin receptor gene which is linked to not feeling as full or satisfied by your meal – and thus tend to eat just a little bit more. This would be a survival advantage when times were lean and the only things to eat were unappetizing, but in this modern era with highly palatable foods in easy abundance, it can lead to gaining weight. Leptin, a hormone produced mainly by fat cells, signals to the hypothalamus in the brain that you have enough stored energy already and don’t need to eat. Leptin is the full signal, and it opposes ghrelin, the ‘hunger hormone’. Together, these two hormones regulate appetite and balance energy expenditure in the body. When you go on a low-calorie diet, leptin increases, telling your brain that you are in starvation and need to conserve energy, lowering your metabolic rate. One way that this happens is through leptin signaling in the hypothalamus to decrease thyroid hormone levels. Leptin is the signaling hormone, but that signal has to be received by the neuronal cells. For people who are overweight or obese, there is usually plenty of leptin being produced in the fat cells, but often the leptin signal is not being received. Leptin resistance is when your brain stops getting the signal that you are at the right level of stored energy. Overweight people are usually producing more leptin than lean people. Neurons in the hypothalamus have leptin receptors and receive the signal from circulating leptin. Specifically, the leptin receptors on the “proopiomelanocortin (POMC)/cocaine- and amphetamine-regulated transcript neurons results in production of α-melanocyte–stimulating hormone that activates the melanocortin-4 receptor (MC4R) and thereby induces satiety signals. LEPR activation on neuropeptide-Y/agouti-related protein (AgRP) neurons leads to reduced production of orexigenic peptides”. Digging into that explanation – cocaine- and amphetamine-regulated transcript (CART) and POMC are both neuropeptide proteins that are involved in energy regulation in the hypothalamus. CART causes suppression of appetite through leptin — and this is also probably why cocaine and meth both cause appetite suppression. [ref] MC4R is the receptor activated by alpha-MSH. Genetic variants in MC4R are also tied to obesity. What happens when the leptin receptor has a mutation? Rare mutations aside, there are fairly common changes, or variants, in the leptin receptor gene that are tied to an increased risk of obesity. The variants that are included in 23 and Me data are listed below. Leptin receptors (LEPR) are a transmembrane-domain receptor that carries the signal from the leptin hormone into the cell to be acted upon. Deficiencies in leptin receptors are associated with being overweight or obesity. 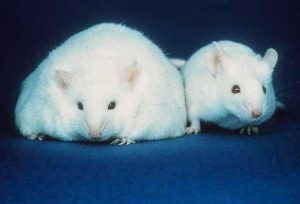 In fact, to create obese mice for use in studies on obesity, diabetes, and dyslipidemia, scientists created a mouse strain called db/db, which are bred to have a mutation in the leptin receptor. Associated with the risk of obesity in many (but not all) populations. Ashwagandha, an adaptogenic Ayurvedic herb, has been found to be a leptin sensitizer. A 2016 mouse study found that one of the constituents of ashwagandha, withaferin A, reduced diet-induced obesity by 25%. [study] Human trials have found ashwagandha (300 mg) somewhat effective in weight loss (~5lbs in two months) for people under chronic stress. [study] Ashwagandha can be purchased as a powdered herb or in capsules. Everyone has different tastes, but in my opinion, ashwagandha has a fairly strong herbal taste and I go with capsules. Ginseng: A recent mouse study found that a bioactive component of ginseng, ginsenoside Rb1, improved leptin sensitivity and signaling in fat mice. [study] There are quite a few studies showing weight loss in mice/rats with ginseng, but not nearly as many in humans. [review] One study in middle-aged females found an average weight loss of a few pounds after two months. [study] Panex Ginseng can be purchased in powder or capsules. 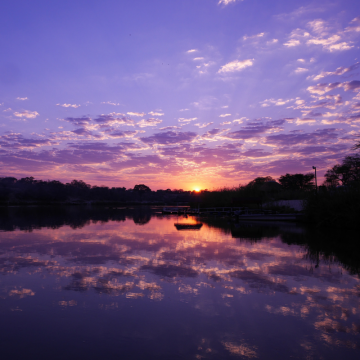 Sleep and Light at Night: Leptin, like most of our hormones, has a daily rhythm that is impacted by sleep and light. Melatonin plays a key role in leptin levels. [study][study] Read through Color TV is Making Us Fat: Melatonin, Genetics, and Light at Night for more information. Seriously consider blocking blue light at night with blue-blocking glasses. Hi. Do you know anything about POMC in relation to overappetite ?. Deficiency of POMC is usually described as incredibly rare, but I am not convinced it is an ‘all or nothing’ situation. See: ‘Setmelanotide’. Can raw data from 23andme be used to look for genetic issues around POMC ? To answer your ‘all or nothing’ question – quite a few of the incredibly rare genetic disorders are being discovered to be not quite as rare as previously thought and also to be more of a spectrum where heterozygous (carriers) people have partial symptoms. Thanks Debbie. I know a little about POMC / MCR issues but what I am not sure of is whether the raw data from 23andme is adequate to be used to by a geneticist to look at this for an individual. I find myself wondering if e.g. partial deficiency could easily ‘hide in plain sight’ in some populations, more than others, such as Scottish / Irish Diaspora. Another question- are you aware of people taking their raw data to professionals to be interpreted ? Yes, there are practitioners who work with people’s raw data file. Often naturopathic doctors are able/willing to do this. Most genetic counselors, though, are probably going to want to run their own, more thorough tests. As far as POMC partial deficiency hiding in plain sight, I would actually be a little surprised if that were the case. There have been tons of large population studies, particularly on Caucasian populations, looking into genetic influences on weight. The MC4R variants were found that way, and they would be associated with POMC through alpha-MSH. FTO variants were also discovered through genome-wide studies. I updated my article on MC4R with more recent studies this week, if you want to take a look. What might be a better path to look into as far as POMC are epigenetic effects – perhaps there is something environmental that is turning down the production of that gene on a wider scale. 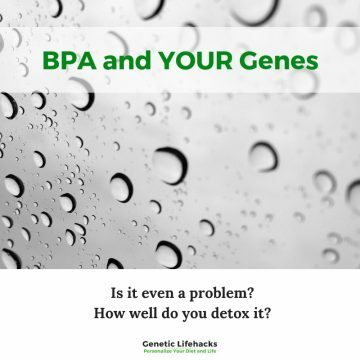 Epigenetics is a way that our body can decrease or increase the products of genes. The links to all of the research papers are right in the article. Just click on the [ref].